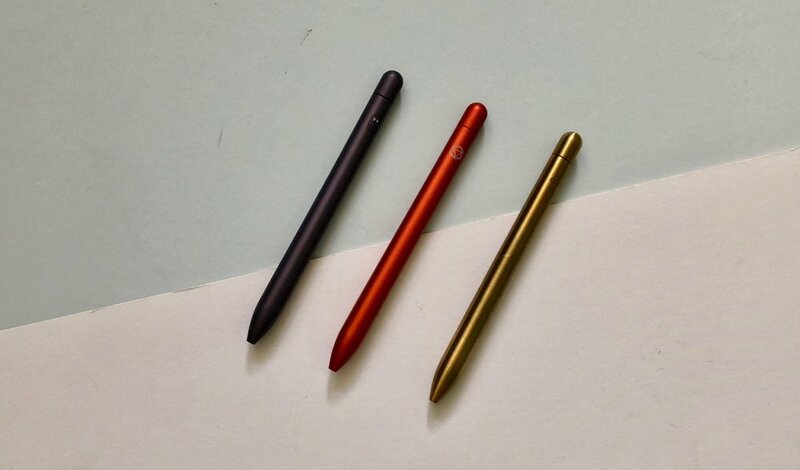 Baron Fig sent me their latest limited edition Squire, Mysterium, to test and review here on the blog. All the thoughts and opinions shared here are my own. 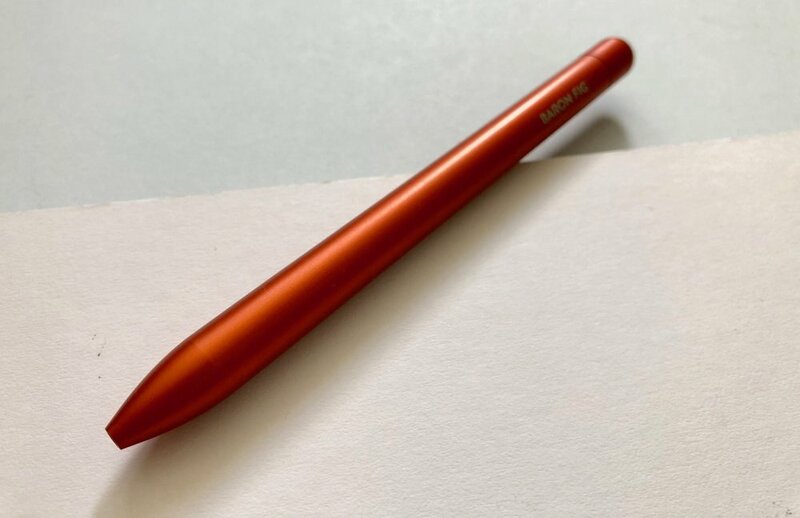 The latest limited edition Baron Fig Squire is theMysterium, a vibrant and bright orange pen, always a popular choice. The Mysterium comes with a short story written by Harry Marks which can be found here. I was half expecting to receive a physical copy of this story with my pen but unfortunately not, this lives online only. The pen and story focuses on a space theme and what lies beyond our planet. 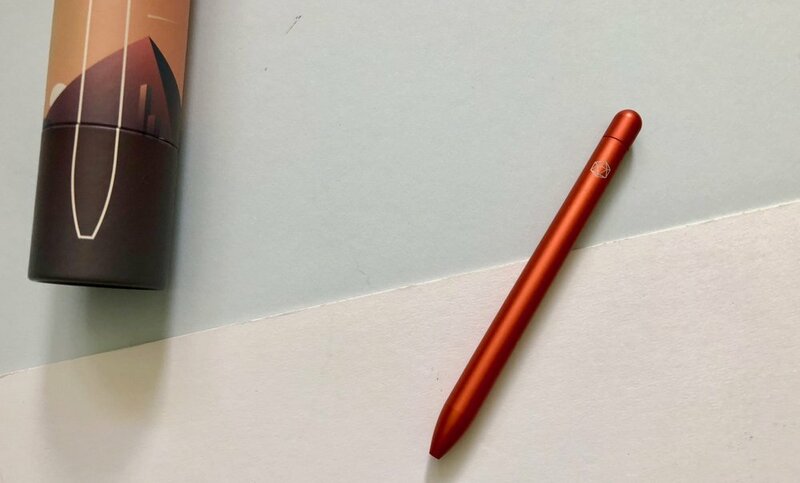 The Mysterium sees a return to the aluminium pen body after a few trials with other materials and does so in style with a bright orange body and a geometric logo etched in white on one side. The orange body does present some small issues. If you really examine this up closely you can see some of the machined lines on the body. The Clicky Posthighlighted this in his post, so head over there for the full details, but the colour makes this all a little more visible. To be clear you really have to look closely at the pen. I have also found that with the lightweight body the refill does skip a little. This could definitely be a dodgy refill and nothing to do with the pen, however I noticed a similar issue with The Insightful Spectre limited edition that didn’t arise with the brass Key limited edition. Despite these small things I really like this limited edition. 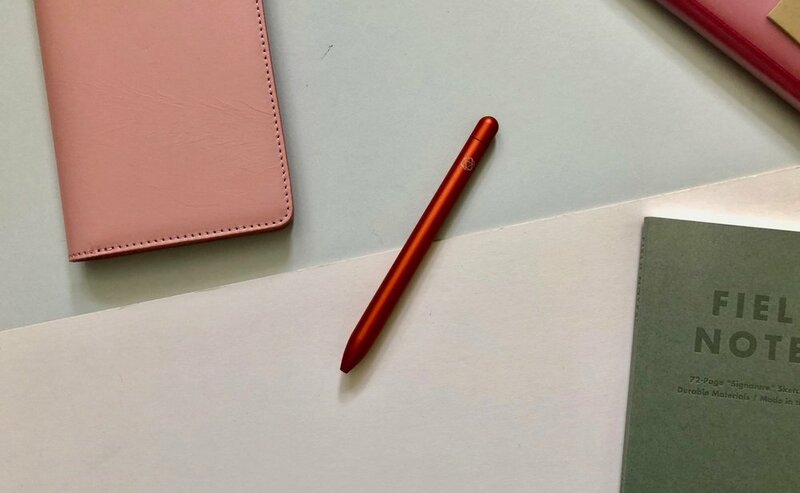 The colour is great and the Squire continues to be one of my go to rollerball pens and the pen I use the most when on the move. Honestly I am a little surprised that this limited edition is still available, I thought this would sell out super quick like the Experiment. So as it’s available I suggest you head on over and grab one of these pens while you can. Thanks for the guys at Baron Fig for sending me the Mysterium Squire to review here on The Finer Point.